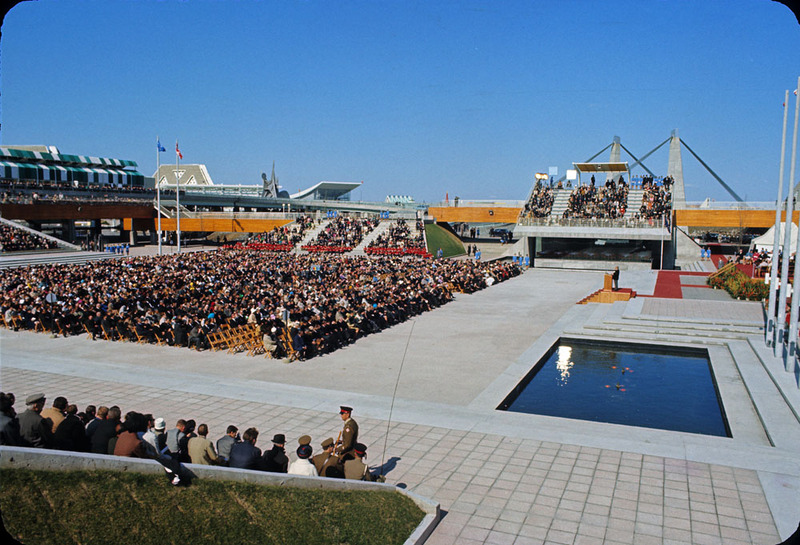 Official Ceremonies of Expo 67 in Montréal, April 27, 1967, were held for VIP's and the media only. Expo 67 would open to the general public on April 28. The fair was suppose to close on October 27 but Mayor Jean Drapeau received permission from the Bureau of International Expositions to extend it for two more days.